I currently have some interesting eBay auctions going. If you're looking for a few more games at great prices, you might want to check them out. Thanks! Hansa Teutonica, Alien Frontiers (crazy to be selling), Mousquetaires du Roy, and Chicago Express Narrow Gauge & Erie Expansion. Some of these are really great games, but space must be cleared and funds must be raised! Also of interest: Dice Hate Me has started up their Carnival Kickstarter today. They may actually make their goal on the first day! Definitely worth a look! I made it back today from a great trip to GenCon 2011! 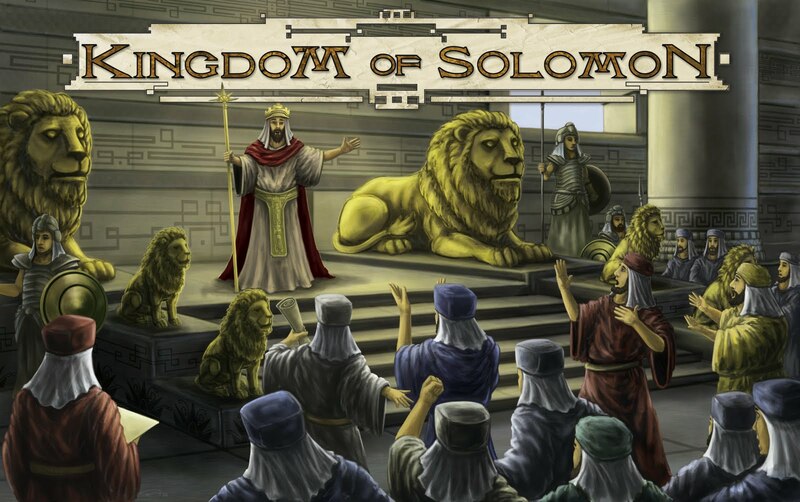 I spent two fun-filled days working the Minion Games booth and the exhibit hall and demoing Kingdom of Solomon. The latest word is that it will be available at Essen (October) and shipped to the US soon after. Unless things come together just right (or wrong) . . . 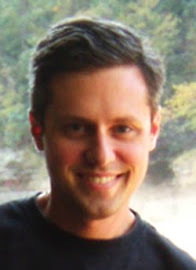 I had some really exciting success with pitching several of my new prototypes. More news on that score to follow in the coming weeks. I also bought the 7 Wonders: Leaders expansion. We played this afternoon and had a blast! This is one of my "biggest" fans. This is our booth, just chock-full of newly- and soon-to-be-released games and designers. I like it better when people don't look at the camera. Some of the great (and odd) art at the show. I finally got to meet THE Steve Jackson! He is pictured here with his trusty Bottle of Quenching. Here I am with Tom Vasel and Eric Summerer of The Dice Tower Podcast. If you don't already listen, you should! Very cool guys . . .
Thursday evening I got to have dinner with some very special Kickstarter supporters, Jed and Ashley. They really helped us out with our funding--thanks, guys! And they're also very cool people. Vader was in the house. The softer side of Vader. One of the biggest games at the show was Fantasy Flight's new Star Wars game, X-Wing, coming next year. Looks pretty neat--you move and fire just like in the movie! Friday, Jed and Ashley got to play their first game of KoS, along with two other guys. All the demos seemed to go very well--we had no trouble finding extra players when needed! This game featured the highest KoS score of the con: 171! I watched him do it, and I still don't quite understand how he pulled that off. Well done, sir. So, that's just a sliver of my experiences this year at GenCon. Thanks to all the folks who played a demo of KoS--it was a lot of fun! I've been frantically printing, gluing and cutting in anticipation of GenCon 2011. Meetings and demos have been scheduled, plans have been made, cars and hotel rooms have been borrowed. I plan to be at the con all Thursday and Friday, mainly working the Minion Games booth (#1352). 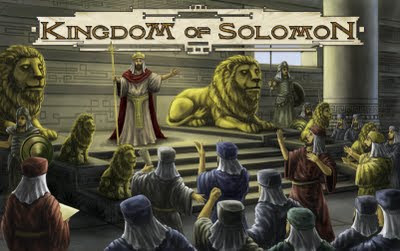 Please stop in and take a look at Kingdom of Solomon. An improved demo copy will be on display. You will also be able to sign up for a full demo at various times. I even made a custom KoS T-shirt! Stop by and say hi! I'll also be hunting down more publishers with my bag-o-prototypes. Wish me luck!